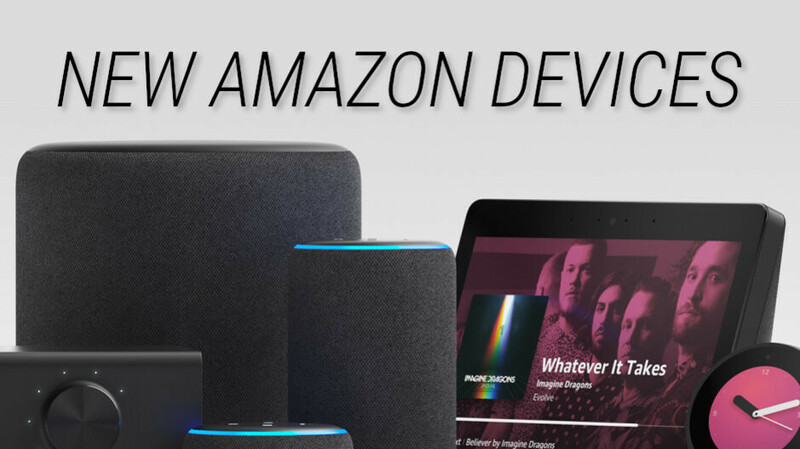 Amazon has just launched a bunch of new devices, the most it has ever unveiled in a single day, and among them are brand new Echo Speakers, a bunch of smart accessories, a gadget that brings Alexa to your car and even... a smart microwave. If you are trying to navigate around everything new that Amazon announced, like we do, this is your one-stop shop for every new Amazon gadget and what it's role is. Amazon kicked off the event, with a quick reminder: Alexa launched just 4 years ago, in 2014, and today there are more than 20,000 Alexa-compatible devices from over 3,500 different brands. The momentum has really sped up in the last year and there are now tens of millions of smart home devices connected to Alexa. Amazon's most popular speaker just got a lot prettier and louder. The tiny, hockey puck-sized Echo Dot is Amazon's best selling speaker ever and it is getting a big overhaul. The new Echo Dot looks a bit bulkier and replaces the plastic shell with a much cozier fabric, but still retains the signature light going all around the top part and buttons that give you easy control over volume and muting the speaker. The big improvements, however, are on the inside: there is a brand new array of microphones that perform better, and a larger driver inside that makes the new Dot up to 70% louder than the previous generation. Sound is more powerful and with less distortion. And other loved features like the Line Out support and Bluetooth connectivity are still here, and the price remains the same. *The Echo Dot costs $50 and ships in October. The flagship speaker gets better sound quality and now has a thermometer inside. Not content with the tiny Echo Dot? 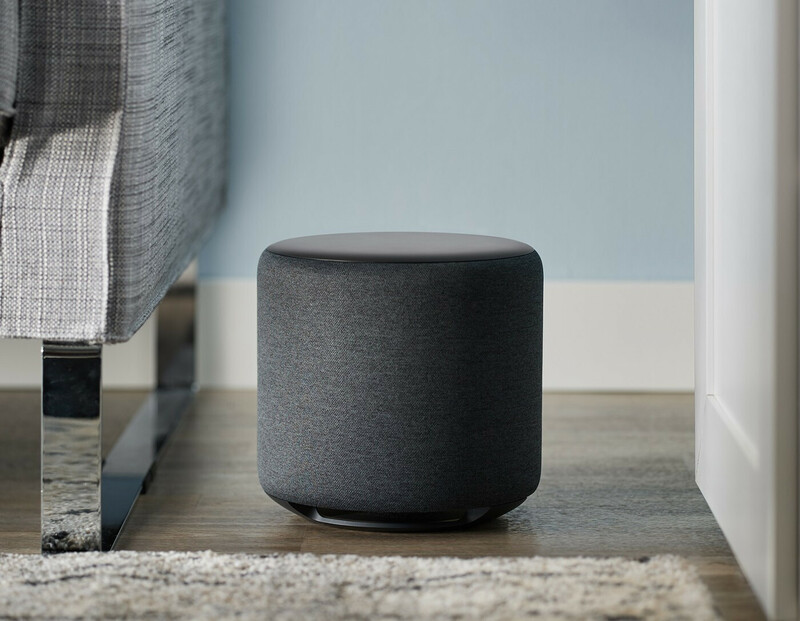 The much bigger Amazon Echo Plus also got an overhaul today and it now adopts a similar, slightly rounded body with a fabric all over it and the big features here are improved sound quality, as well as an all-new temperature sensor inside that allows the Plus to perform certain action in your smart home when the temperature reaches a certain limit: connect it to a smart plug and you can turn the heater on and off at certain temperatures for instance. There is one more cool new feature of the Echo Plus called "local voice control" and that allows you to communicate with Alexa even when your Internet connection is down. The list of available commands is limited then, but you can still do things like turn on and off the lights. 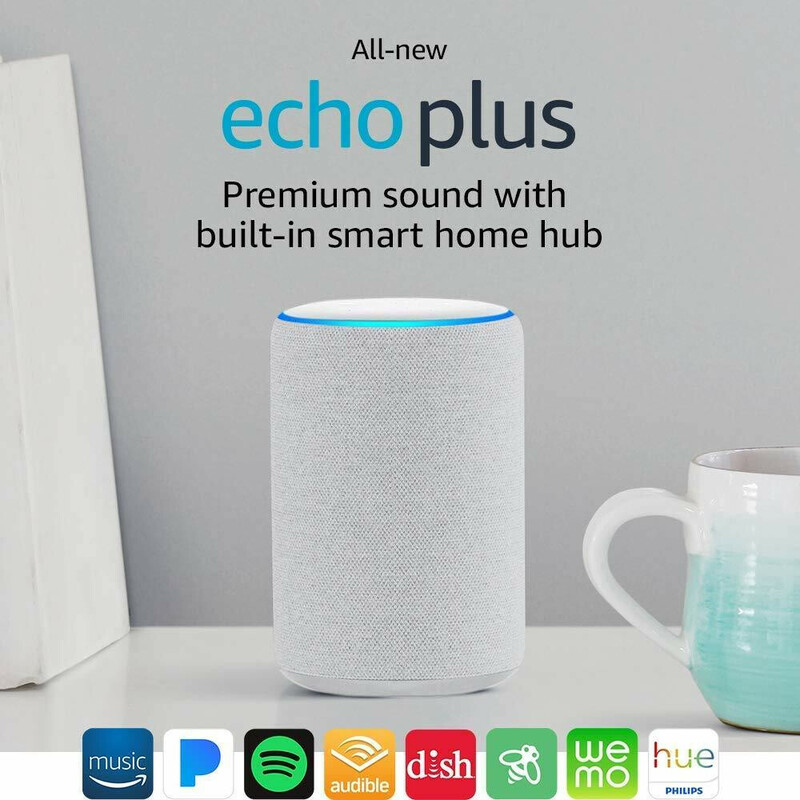 *The Echo Plus costs $150 and ships on October 11, 2018. The Echo Show gets a bigger, 10" display and now supports Skype calls. 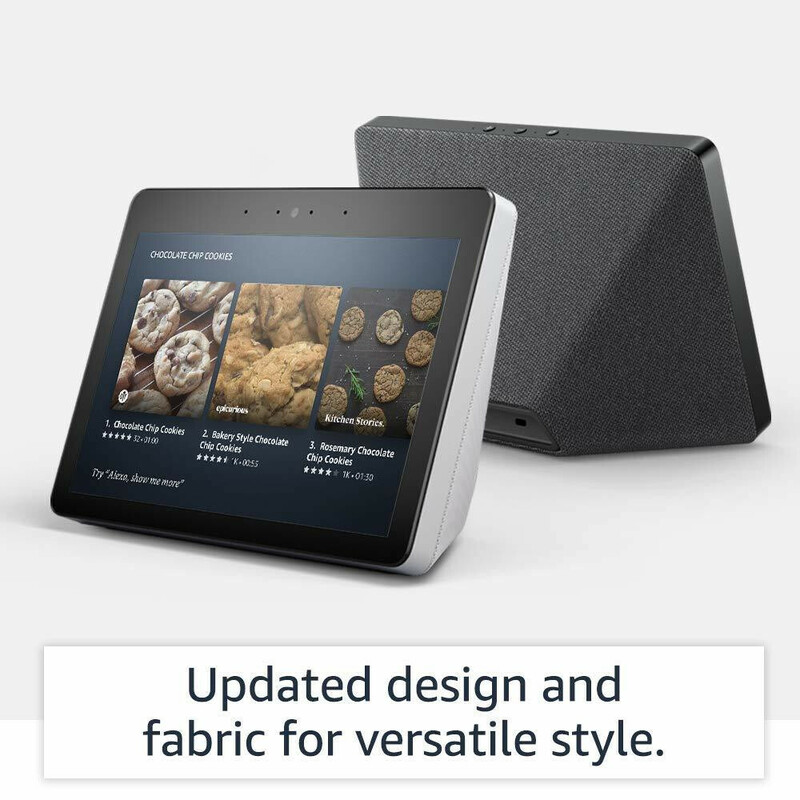 Amazon is quickly moving towards smart speakers with screens and the Echo Show is its flagship product in this series: the screen on the new Show has grown much bigger and now measures 10 inches in diagonal, so you can see a lot more. In addition to that, you get an improvement in sound quality with larger, dual 2" drivers, as well as a passive bass radiator for bigger stereo sound. The most important new feature here, however, seems to be the soon-to-come support for Skype calls. *The Echo Show costs $230 and ships on October 11, 2018. The first Echo for your car. While all previous Echos were evolutions over previous versions, the Echo Auto that Amazon unveiled is something brand new. It brings Alexa to your car in a tiny gadget that sits on your dashboard and costs just $50 (first buyers will get it for just $25). 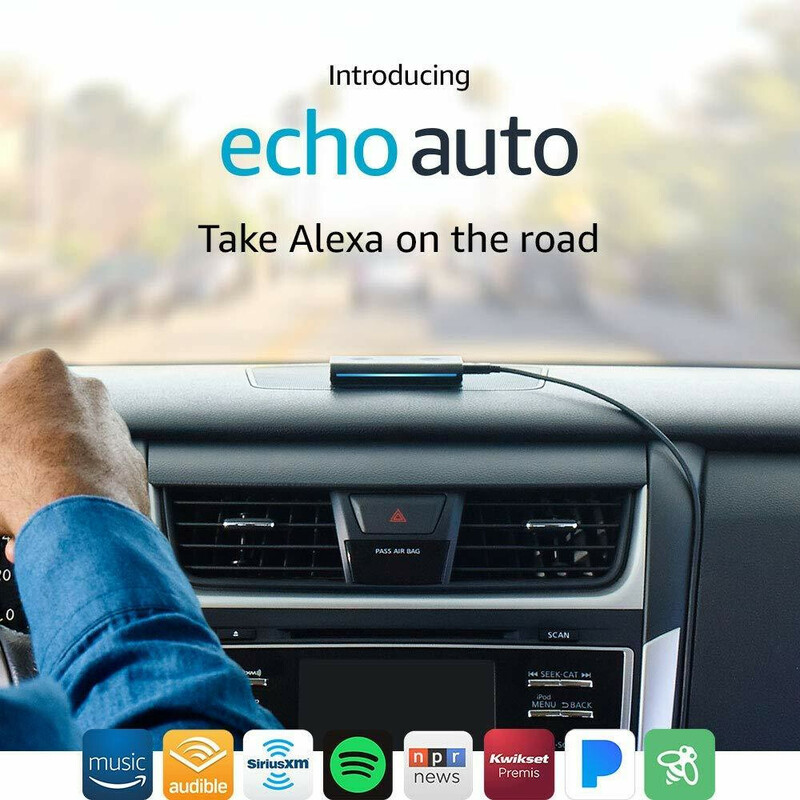 The Echo Auto connects to your phone via Bluetooth and brings you the power of Alexa for in-car entertainment. The tiny gadget packs eight microphones and is able to hear you perfectly, even over music. The list of things you can do with it includes playing Audible books, streaming podcasts, or you can listen to Amazon Music, Spotify, Sirius XM, or NPR. *The Echo Auto costs $50 and ships later this year by invitation only. Give your old, traditional speakers Alexa superpowers. The Echo Input is the Chromecast Audio of Echo gadgets: a miniature, hockey puck-sized gadget, it is meant to connect to your traditional, wired speakers and turn them into Alexa-powered, smart speakers. It does not have a screen, it's slim and small, and it costs just $35. *The Echo Input costs $35 and ships later this year. Amplify your music with Amazon. Amazon also came up with two brand new Echo Link devices. The bigger and more impressive one is an amplifier for your high-end speakers called Echo Link Amp. It features a built-in 60W 2-channel amplifier, multiple digital and analog inputs and outputs for compatibility with your existing stereo equipment. 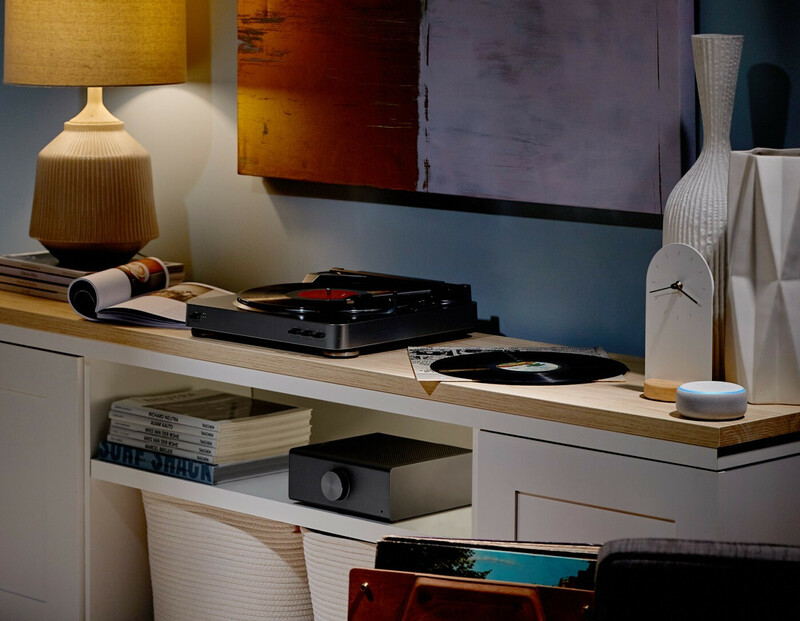 It not only amplifies the music, but also lets you control your music, volume, and multi-room playback via your Echo or Alexa app. 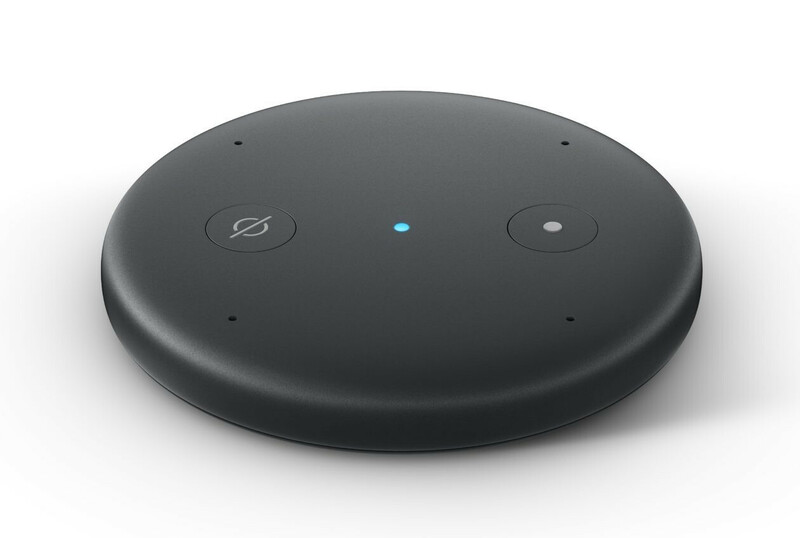 The smaller Echo Link lacks the amplifier functionality and instead it itself connects to an amplifier and allows you to control music, volume and all else via your Echo or Alexa app. *The Echo Link Amp costs $300, while the Echo Link is priced at $200. Both are expected to ship later this year. Big bass punch to Echo audio. Ever felt like your Amazon Echo speakers sound okay, but just lack that oomph in terms of bass? The Echo Sub is here to fix that: a $130 subwoofer, it connects to Echo speakers to create a 1.1 or 2.1 system that is capable of delivering a big punch. *The Echo Sub costs $130 and you can pre-order it starting September 20th. Echo timers at a glance. 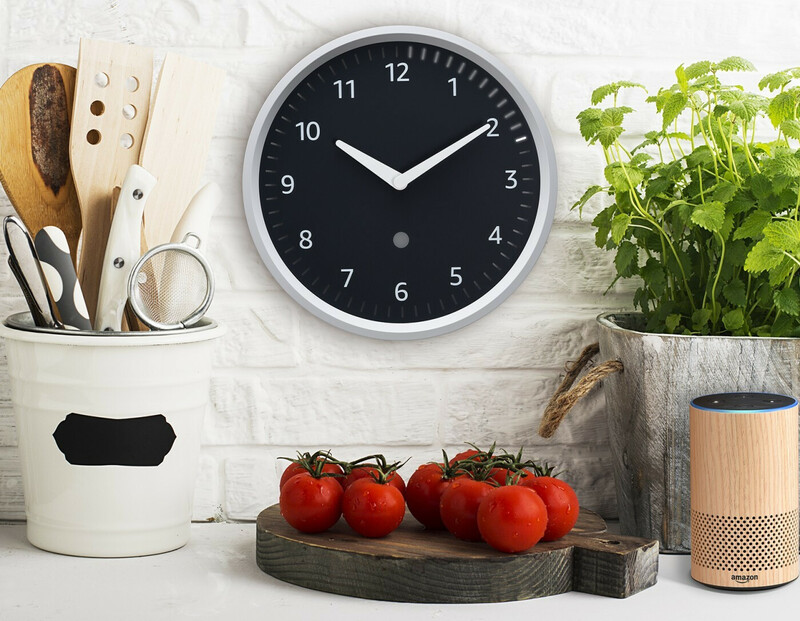 A smart clock that connects to your Echo and shows you timers at a glance, plus it automatically adjusts to changes in time zones, this affordable and stylish wall clock, looks just like a traditional kitchen clock. *The Echo Wall Clock costs $30 and ships later this year. 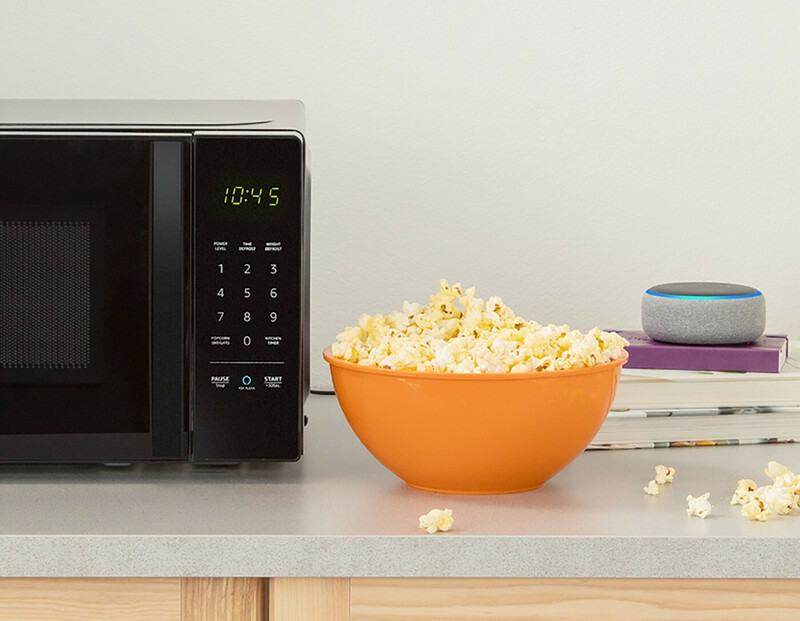 If we told you that Amazon would make a smart microwave, you might have laughed it off and tell us we're kidding, but that day has come. This new Amazon Basics series Microwave allows you to simplify cooking. How exactly? Well, do you know how to defrost peas with your microwave? How to cook a potato? Or even good old popcorn? Instead of reading the manual to find out, you can simply tell your microwave to "cook that potato", and have it turn on with the right program and do it all on its own. Oh yes, and there is now a feature that allows you to get automatic popcorn refill orders from Amazon when you run out. *The Amazon Basics Microwave costs $60 and ships later this year. Add Alexa to any power outlet. 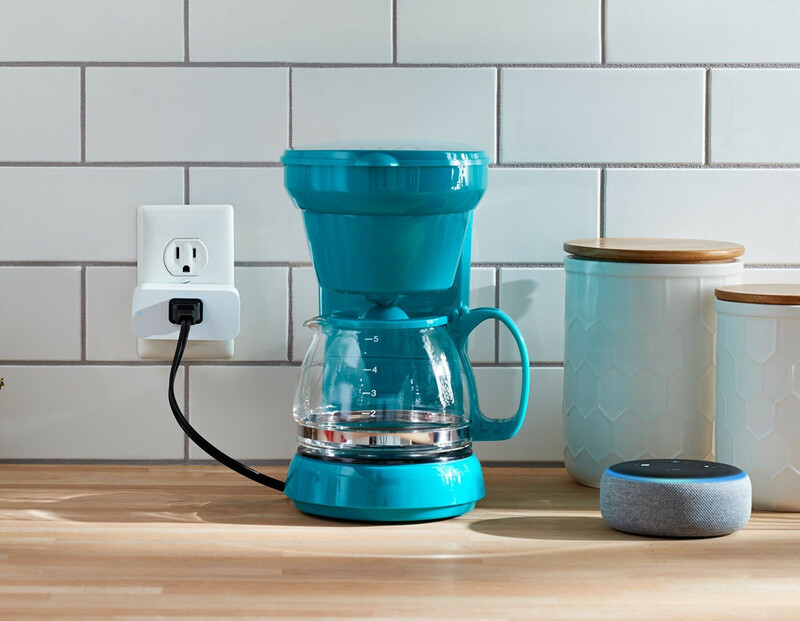 The idea behind the smart plug is simple: it works with Alexa to add voice control to any power outlet. It also has a compact design that allows fitting two, one on top of the other, in a standard, two-slot power outlet. This simple gadget allows you to schedule lights, fans, and appliances to turn on and off automatically, or to control them remotely when you’re away. *The Amazon Smart Plug costs $25 and ships on October 11th. This one is for those who love live TV. 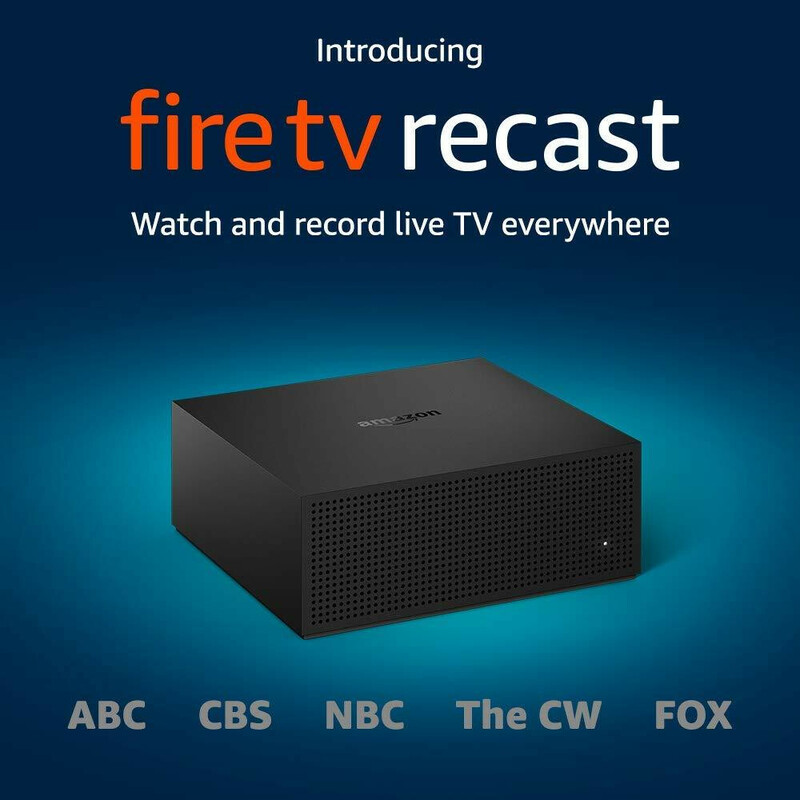 The Fire TV Recast makes it possible to watch your favorite live TV content from anywhere. It is a companion DVR that lets you watch and record over-the-air programming to any Fire TV, Echo Show, and on compatible Fire tablet and mobile devices. *The FireTV Recast costs $230 for the 2 tuners/500GB version and $280 for 4 tuners/1TB version. 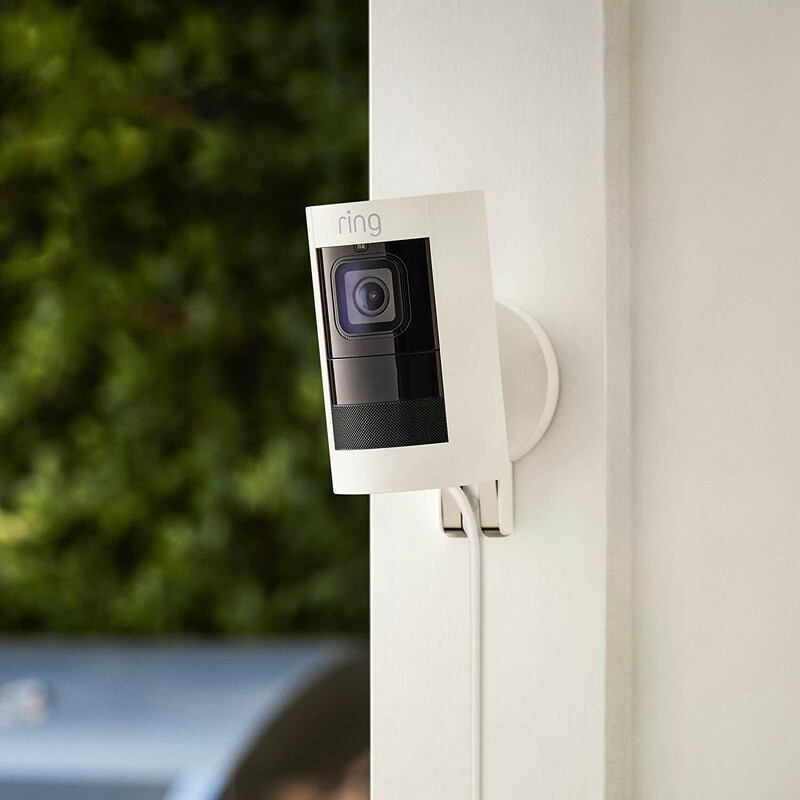 The all-new Ring Stick Up Cam comes in an outdoor and indoor versions, and features both a wired and a battery option. It allows you to monitor indoor or outdoor areas at home in 1080p HD video, it provides two-way audio, so you can hear and speak to people, and it sends you notifications when it detects motion. *The new Ring Stick Up Cam costs $180 and will ship later this year. There are a bunch of new big and little features that Amazon unveiled that don't fit a particular category, but are nonetheless all sorts of cool and important. Let's take a look at them one by one. First, Alexa Guard. Alexa Guard gives some Echo devices the ability to listen and recognize sounds like that of breaking glass or carbon monoxide alarms, and then send alerts, when Guard mode is activated (something that you can simply do by saying "I'm leaving" to your Echo). Hunches. It learns your routines and can automatically suggest to turn off lights when you leave, if you have forgotten to do that. Frustration Free Setup. Just as the name implies, this allows a super simple Wi-Fi set up. Local Voice Control. 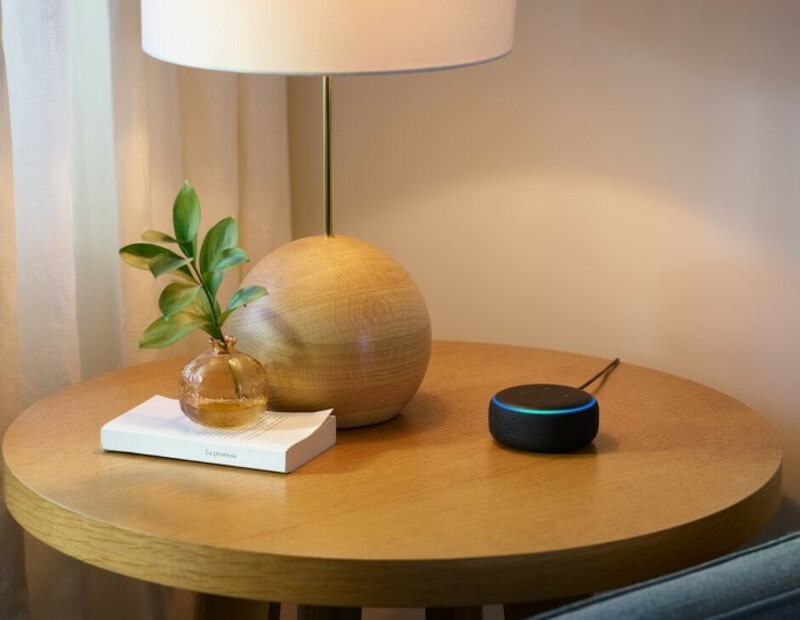 We've already mentioned this in the list of new features for the Echo Plus, but once again, it allows you to use certain Alexa commands even when you don't have an Internet connection. New Alexa Routines. You can now trigger routines based on location, temperature and motion. Step-by-Step Cooking Instructions. Some of the best recipe platforms like Kitchen Stories, Allrecipes, Epicurious, and more will come to Echos with step-by-step instructions for your kitchen masterpieces. Email Integration. You can link a Gmail or Outlook account, so that you can check for new emails and compose replies with just your voice. Whisper Mode. Another practical addition for Echos, they will be able to recognize when you whisper to them and reply in the same low voice. Cool! Tidal support for Echo. Support for the popular high-quality streaming service Tidal. Echo Stereo. Pair two Echo speakers and get a left-right separation for a true stereo experience. And this is a quick overview of the everything new and exciting that Amazon unveiled at its September event. Me too.. Unless if it's need to connect to power plug.. "plus it automatically adjusts to changes in time zones" and this one also seems useless too, since that clock most likely will stuck inside home, and never changes it's time zone. Auto sync every night will be better, plus automatic DST.